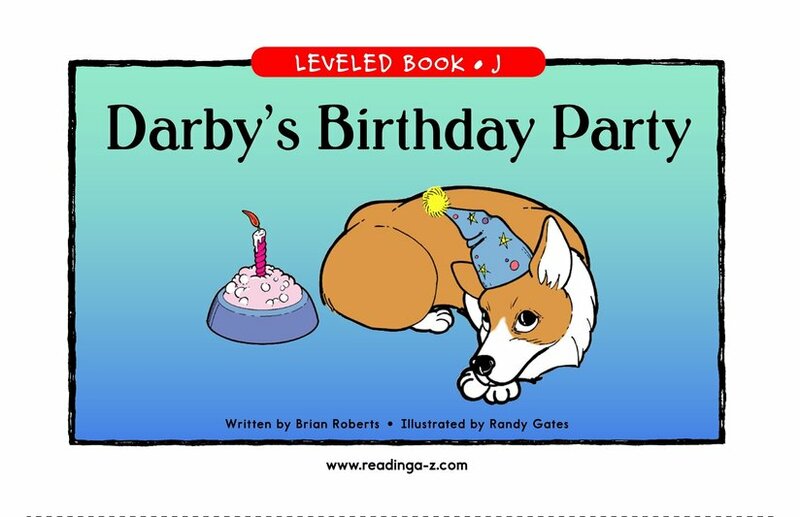 Darby's Birthday Party is about a dog named Darby who is going to be 15 years old. 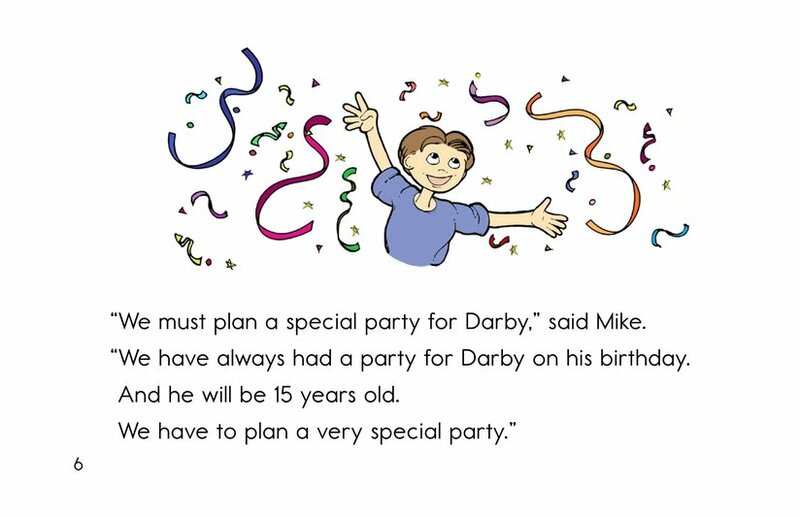 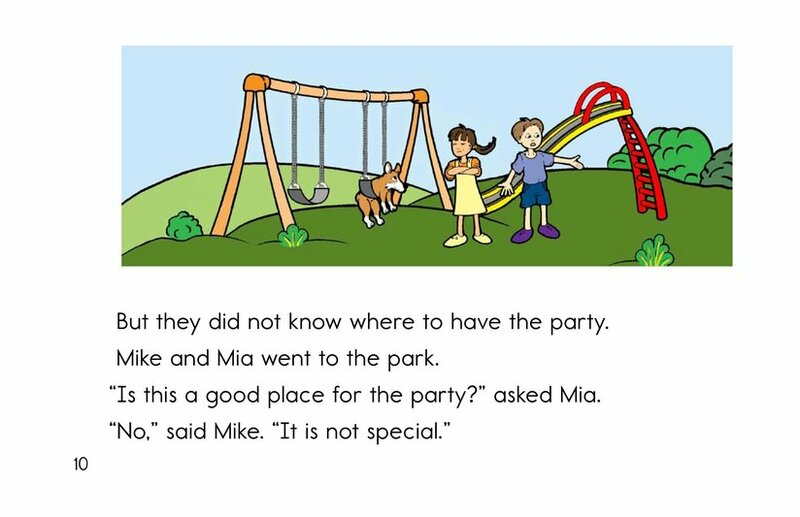 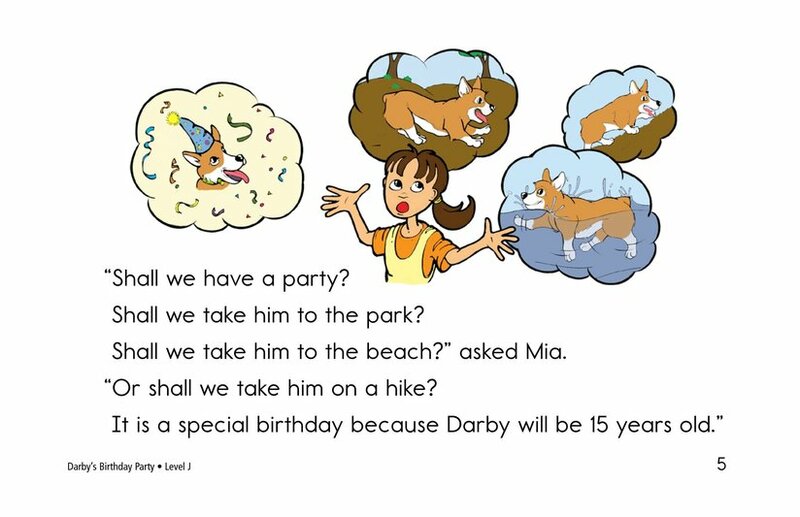 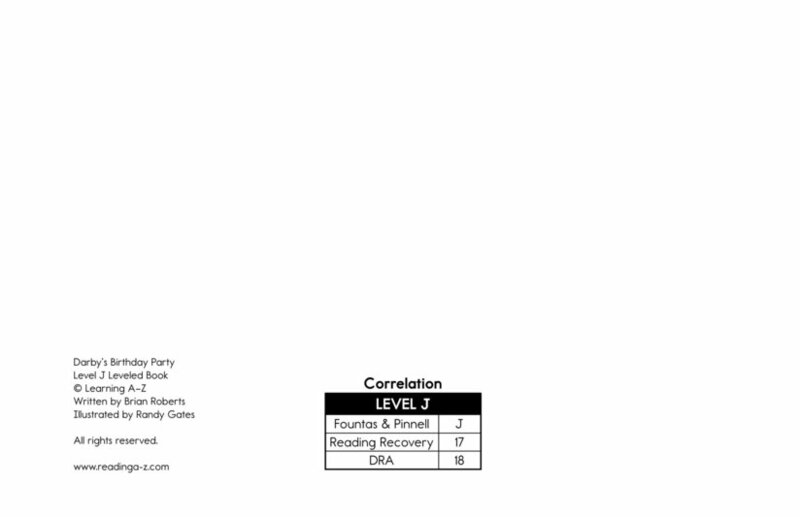 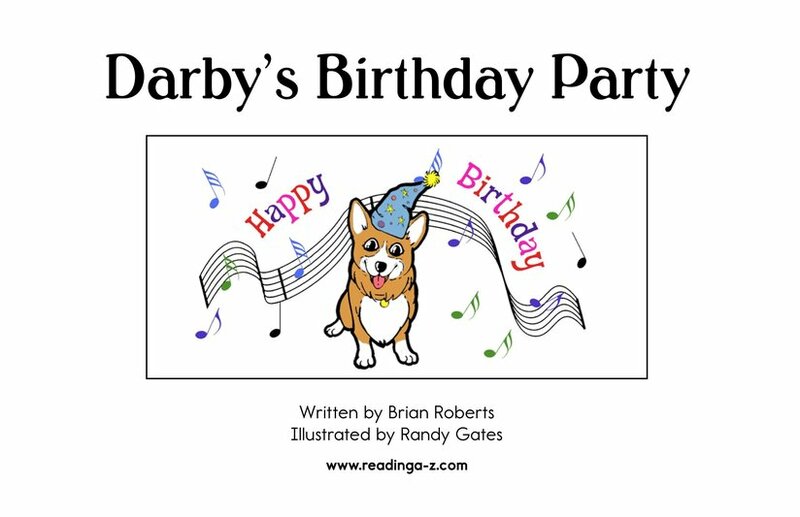 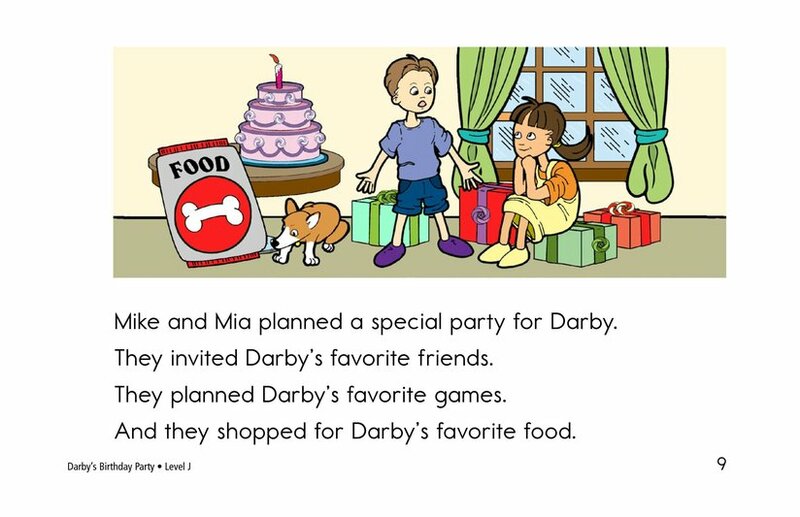 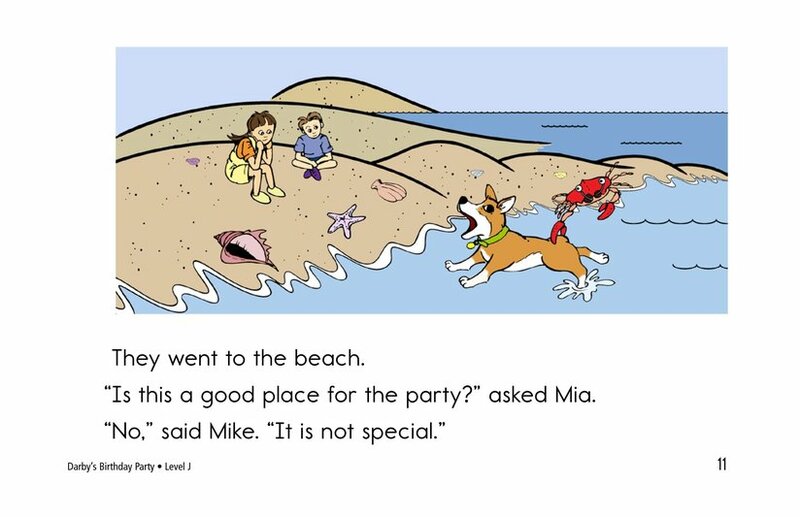 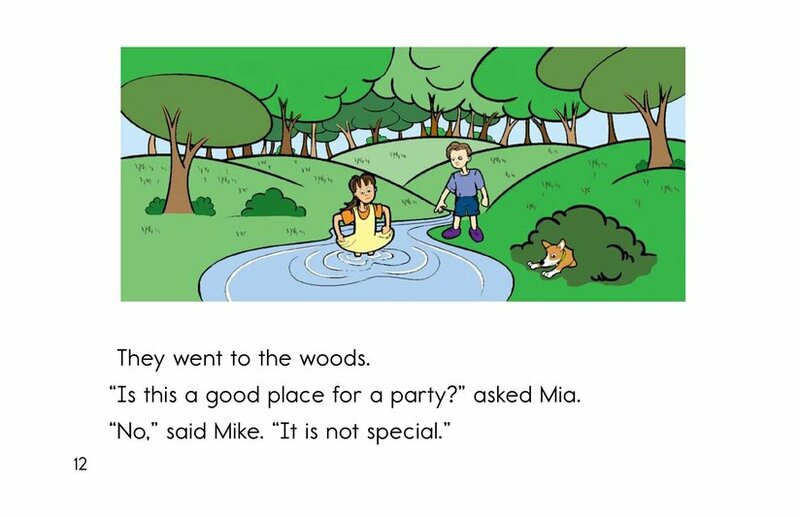 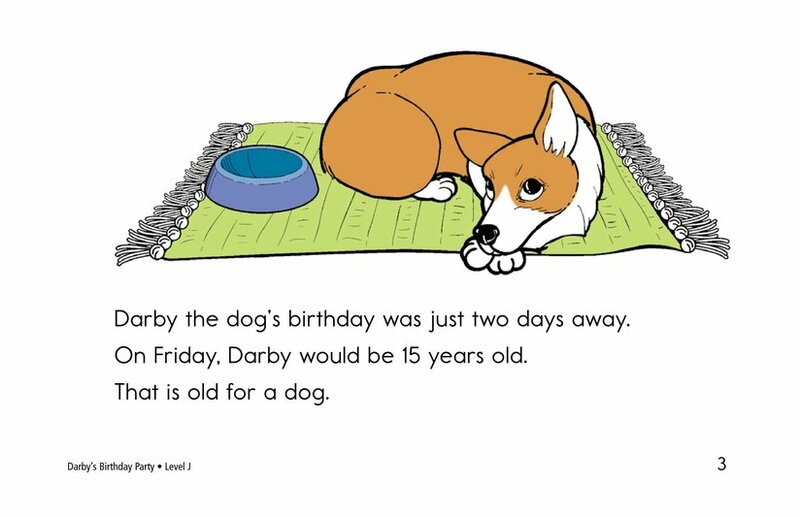 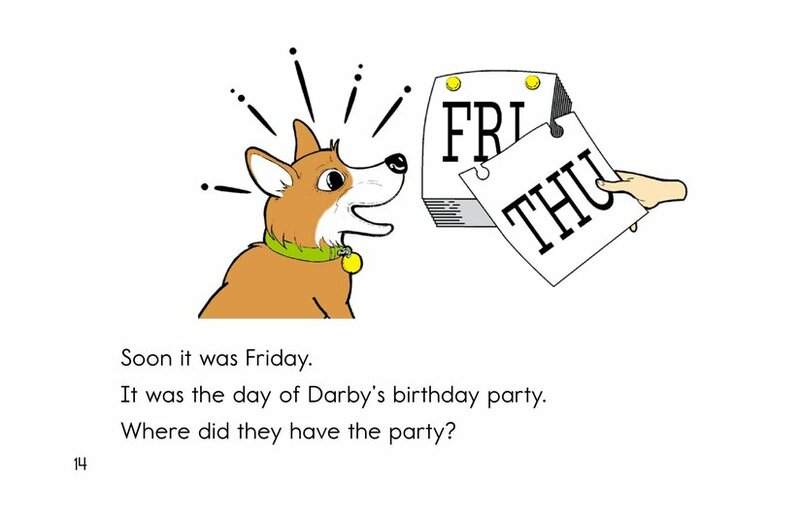 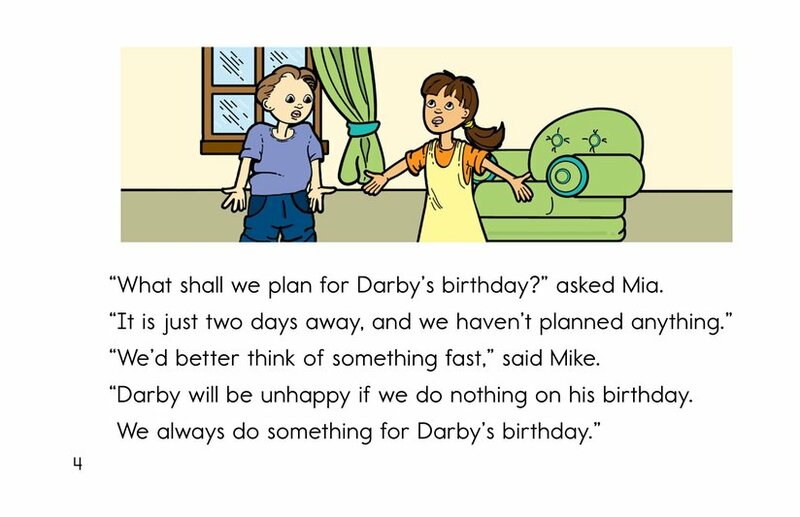 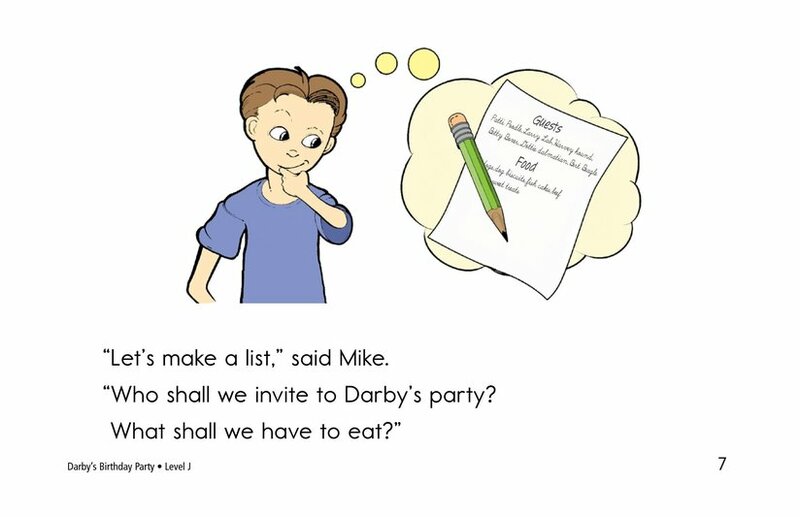 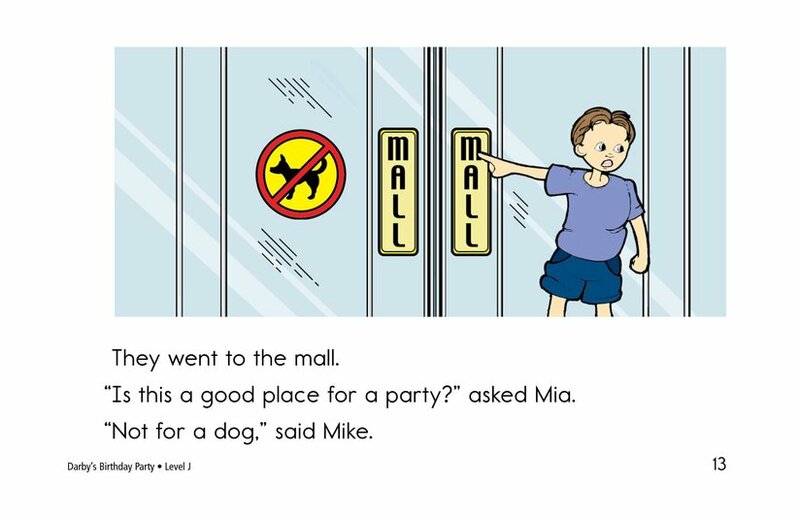 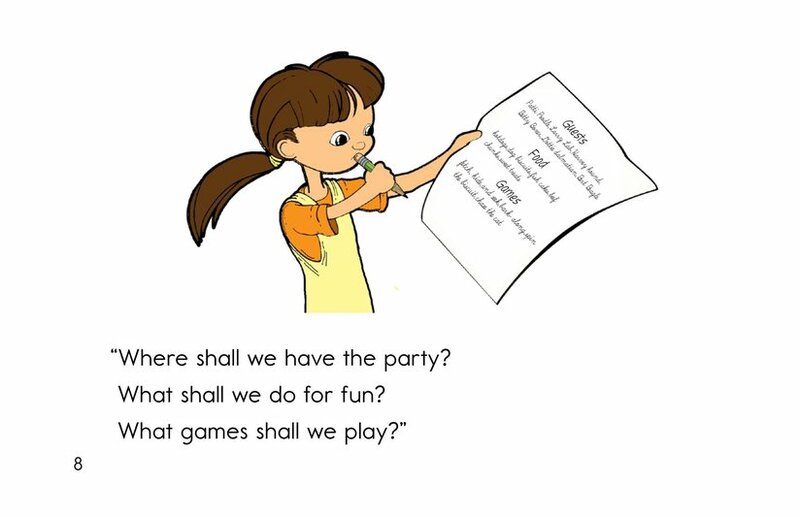 His human friends, Mia and Mike, decide to have a special birthday party for Darby, but they are not sure where it should take place. 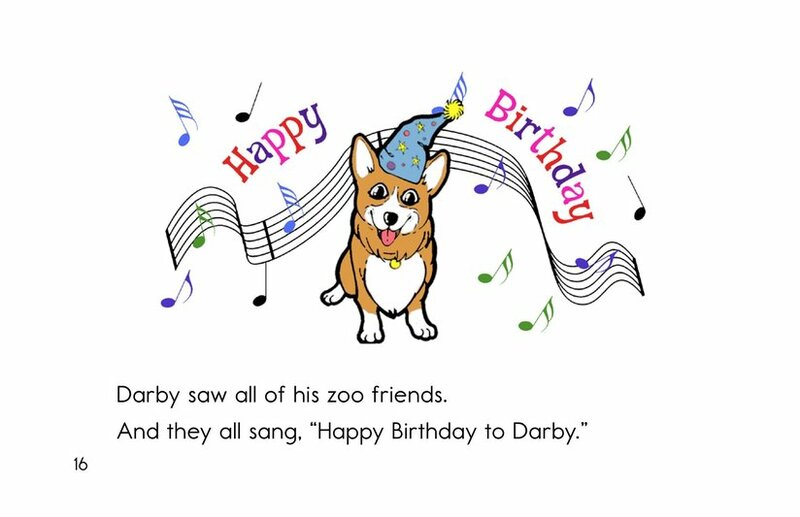 They consider many locations and finally settle on a place that is Darby's favorite--the zoo.